Momotaro's quest for justice mostly focuses on defending the common people from the predations of the many supernatural threats that exist on Kagejima. Seeing the humble farmers around his family terrorized by entities that they don't understand and are ill equipped to deal with has caused him to put his prodigious strength to use defending them. Demons and fickle spirits everywhere have come to fear Momotaro's attention. Momotaro's excellent stat line makes him a great addition to most any team. While he isn't the fastest, he is a monster in combat and is very tough to remove from the board. Add to that the Spirit Hunter ability and he should shine for any team who is having problems standing up to tricksy Kitsune or super aggressive Ijin teams. These products require Ninja All-Stars main game to play. 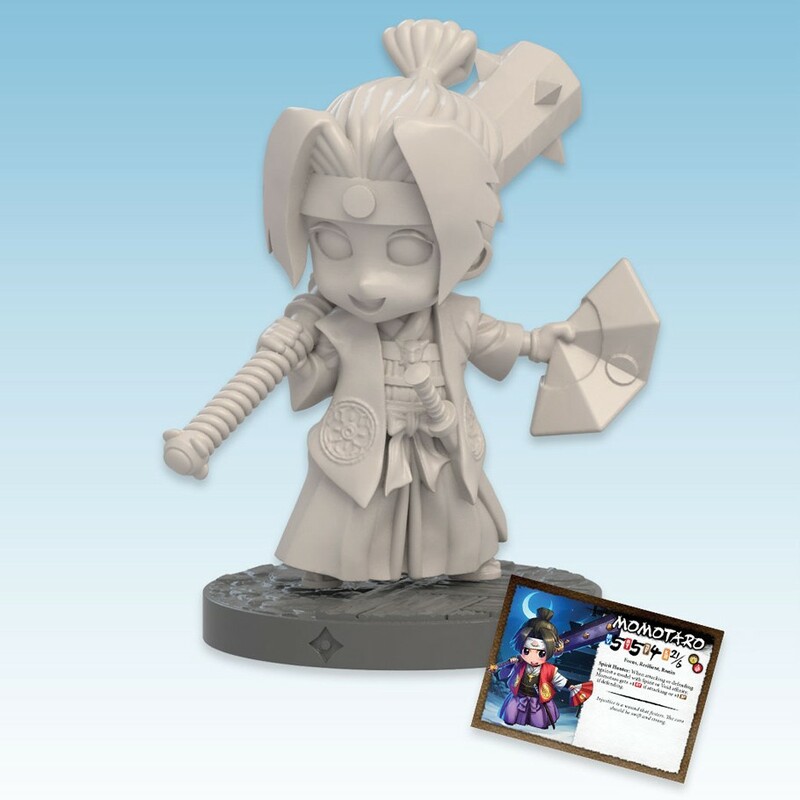 Ninja All-Stars miniatures are supplied unpainted.